A subsidiary of Sebri Group, SMETRAM has been exploiting sand quarries in Tunisia since 2001 to serve the national market, and typically the concrete and ceramic industries. Innovative and visionary, SMETRAM decided the time had come in 2017 to strategically invest in the production of industrial sands adapted to the specifications of the glass market in Algeria, Germany, Italy and France, focusing on the exploitation of silica sand in the region of Oueslatia. To manage the extraction of 3,000t of sand a day, the company was looking for high-tech materials washing equipment that could stand the test of time. SMETRAM CEO Mr Habib Sebri explains his choice: "SMETRAM is a dynamic company with 15 years’ experience in the treatment of sand and aggregates. Recently, SMETRAM has reached the level of success and maturity that has enabled us to make the decision to develop outwards and into specialised international markets by adding high quality glass sand to our offering. "However we knew that in order to succeed, the choice of our materials washing equipment would be crucial. After thoroughly researching all the options available on the materials washing market, we opted for a CDE washing plant. Reasons for our decision were based on the professionalism of the CDE commercial team, the manufacturer’s commitment and investment in innovation and new technologies and its use of high-quality materials." To guarantee a consistent and precise cut, as well as the required production level, SMETRAM chose a complete turnkey washing solution including the powerful and compact M4500 sand washing plant (with high-frequency Infinity Screens, ShearClean dynamic attrition scrubber and Spiral Separators), which takes care of screening, washing, attrition, classification and recycles up to 90% of wastewater. The M4500 will be fed 200t/h of raw materials for a production of 100t/h of high-quality fine sand for the glass industry. A second installation will be commissioned at the start of 2018 on a different site, which will double SMETRAM’s production. 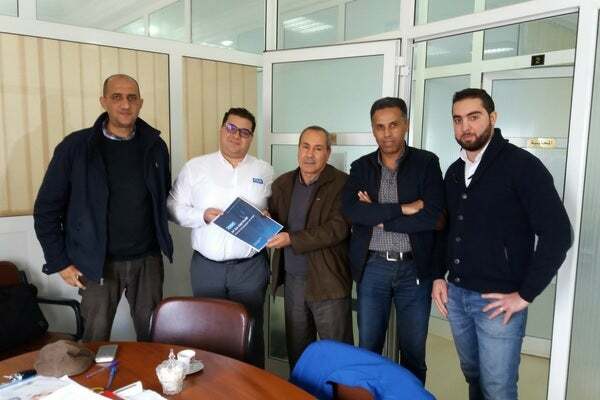 CDE Global Tunisia business development executive Aymen Bennour concludes: "The SMETRAM project is a major landmark in the development of CDE, both in North Africa and in the industry of industrial sands in Tunisia. "We are delighted to have been chosen for this project and to work with SMETRAM. The CDE M4500 materials washing plant has become a staple in the global washing industry since its launch in 2014 and one of our most popular products. "This high-tech installation is compact, powerful, user-friendly and economical. Investing in a plant that guarantees extremely precise cut points and consistency in production levels gives an advantage to companies wishing to develop their operations or, as in SMETRAM’s case, to engage with new dynamic and innovative markets."